While we were giving the feedback, I had an idea for how I could use Anik's work as inspiration for a slightly different version of the chart. Before I get to that, here's his next version after iterating. I love the simplification of the view; it's now much easier to understand. 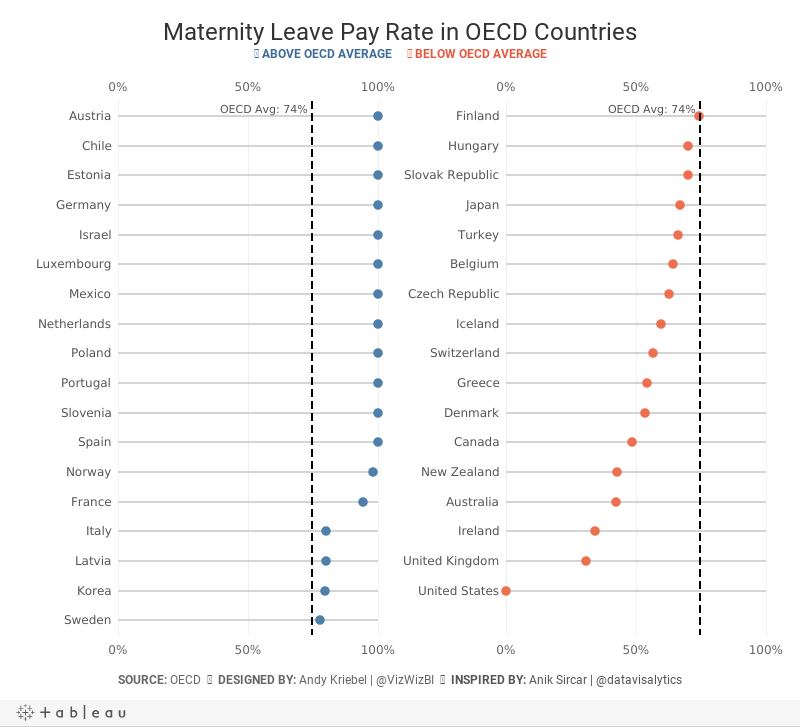 My take on this turns his view into a more minimalist dot plot that breaks it down into two columns that conveniently are above the OECD average on the left and below on the right. Originally I had it as three columns, but Eva suggested two and it worked out perfectly. Thanks for the inspiration Anik!